It’s really easy to find Interlude Guest House. We are located on the edge of Thabazimbi near the Agricultural Show Grounds and Thabazimbi Airfield. From OR Tambo International Airport take the R21 to Pretoria and continue on the N1 North towards Polokwane. Take a left exit onto the Platinum Highway/N4 with signs for Rustenburg. Take exit 245 for R511 towards Brits city centre. Turn right onto the R511 towards Brits and continue straight through Brits on the R511 road to Thabazimbi. At the Thabazimbi / Northam T-junction, turn right onto the R510 towards Thabazimbi. Continue straight onto the D1485, past Thaba Mall Complex on your left-hand side and carry on to the four-way stop with a Kransberg Petroleum Garage on the right. Cross the four-way stop and carry straight on past the show grounds on your left. Indicate right as soon as you see the cemetery on your left. Turn right at the 4-way stop into Hamerkop Street and continue straight past the air-strip on the left. Interlude Guest House office is the third residential house on the right-hand side. We are located directly next to a thatched roof house and guests can park on the cobble stone driveway to pick up the keys from the office. Please note, if you reach the first 4-way stop in Hamerkop Street, you have gone too far and have to turn around. From OR Tambo International Airport take the R21 to Pretoria and continue on the N1 North towards Polokwane. Take a left exit onto the Platinum Highway/N4 with signs for Rustenburg. Take exit 207 toward Marikana/Buffelspoort. Turn right toward R556. Turn left onto R556 towards Sun City. Turn right onto R510 towards Thabazimbi. From OR Tambo International Airport take the R21 to Pretoria and continue on the N1 North towards Polokwane. Take exit 238 to merge onto R516 toward Bella Bella. Turn right onto Marx St/R101. Take the 1st left onto Potgieter Rd. Turn right onto Ritchie Rd. Turn left onto Voortrekker Rd. At the roundabout, take the 1st exit onto Rooiberg Rd (follow signs for Thabazimbi). Continue onto R516. Turn right onto the R511 road to Thabazimbi. At the Thabazimbi / Northam T-junction, turn right onto the R510 towards Thabazimbi. We were looking for a comfortable and affordable guest house for our visit to Thabazimbi and found Interlude on the internet. Upon arrival René was so friendly and gave us lots of useful advice. After a great nights sleep the excellent breakfast really set us up for the day, we'd recommend Interlude to anyone staying in Thabazimbi. What a wonderful stay we had at Interlude Guest House. Our host René was very friendly and the service was excellent. We'll definitely be back! We stayed at Interlude Guest House for a week whilst working at the local mine. I just wanted to say how grateful we are for the pleasant stay we had and the lovely clean rooms we came back to after a hard days work. 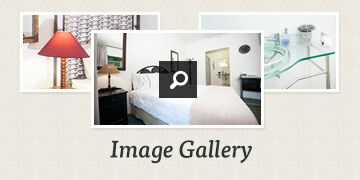 We've been coming to Interlude Guest House for a number of years now and always enjoy our stay. René is so welcoming and makes us feel like family, and the breakfast is out of this world!